For the joy of getting dizzy! If you touch the ground, you have to start over! Indiana Jones should give it a try! Any loggers in your family tree? 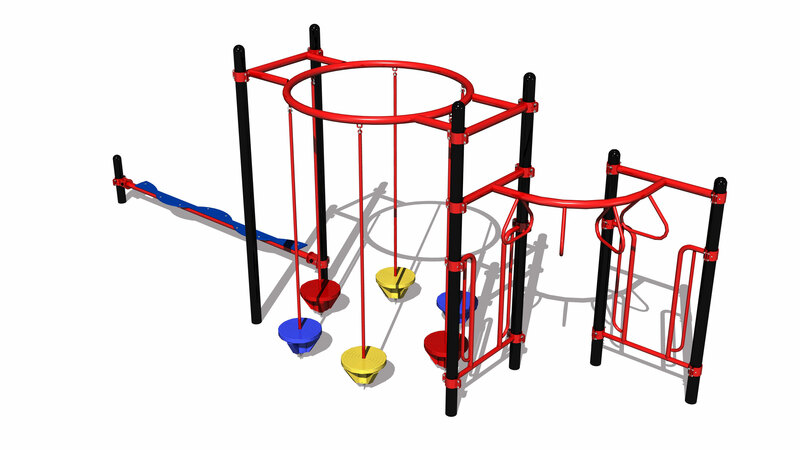 Our Go-Hop playstructures are based on the physical fitness model called “hebertism” which involves a series of varied outdoor exercise activities. 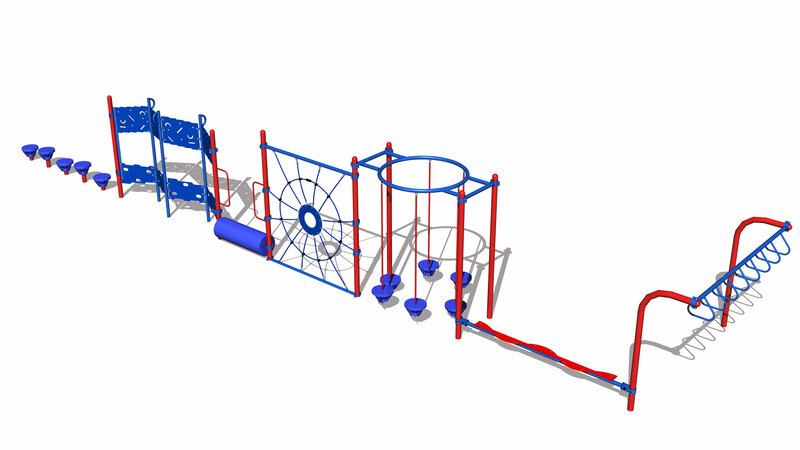 Go-Hop playstructures integrate a wide variety of play stations. 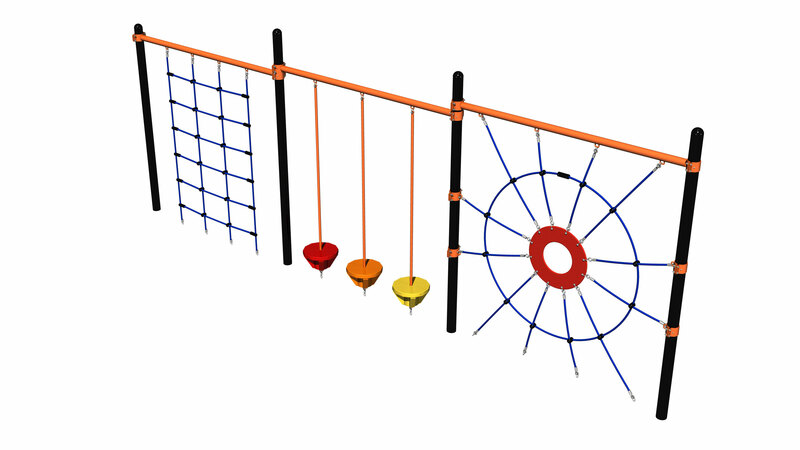 Each component presents its own physical challenge. The configuration possibilities are endless… our customers always take pleasure in inventing their own unique courses, which we install for them. Go-Hop playstructures form the basis of imaginary adventures (“Watch out, if you fall, the crocodiles will catch you!”) and of physical exploration (“I bet you can’t jump all the way over there!”). 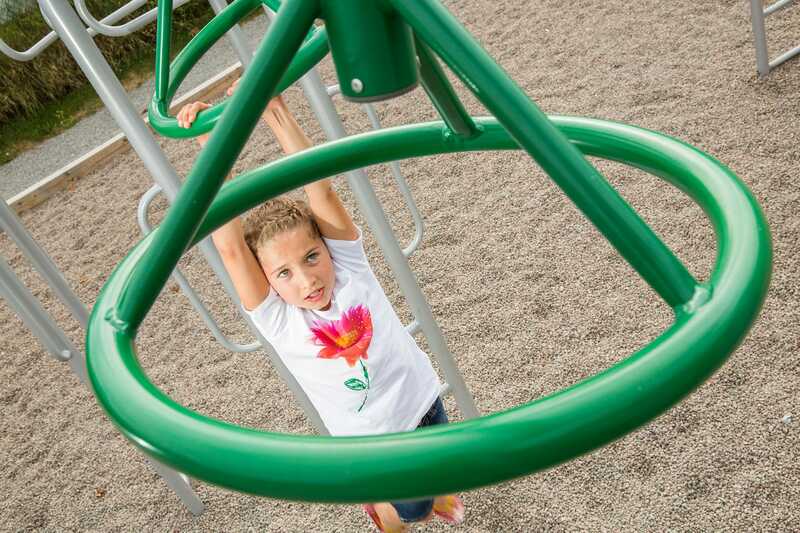 Children develop balance, coordination, timing, agility, strength, and endurance…all while having fun. 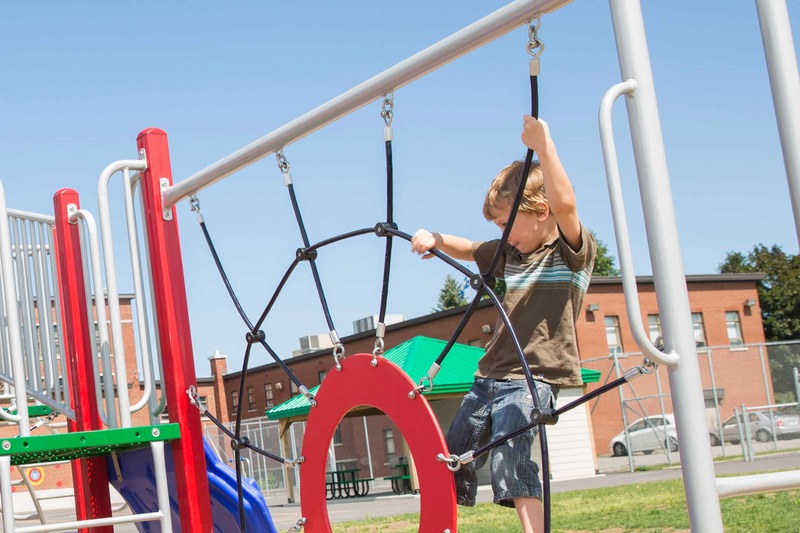 These playstructures also give older children the opportunities to challenge themselves physically and overcome their fears while striving to achieve the goal of one station in order to move on to the next. Parents may even join their kids in tests of agility. 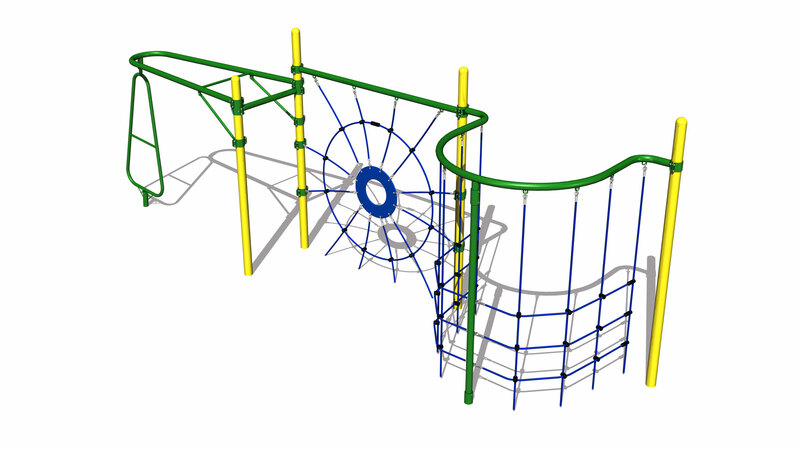 Go-Hop playstructures provide ground-level exercise which can be done in “courses” (from one end to the other without touching the ground) or one at a time. 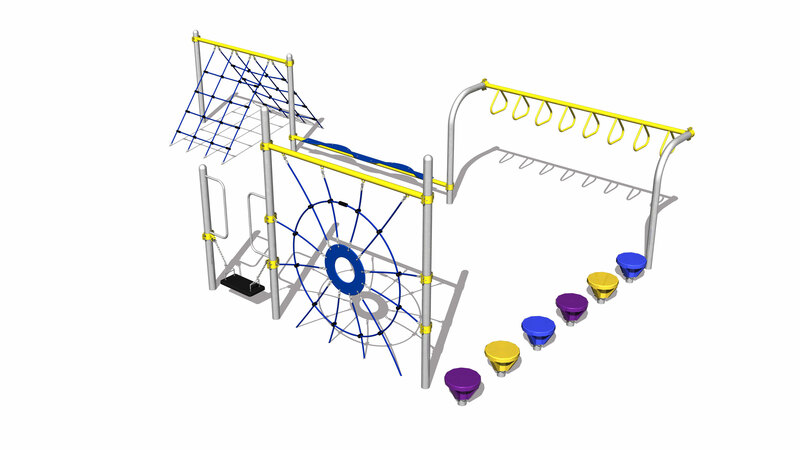 Accessibility is maximized, to permit their use by children with physical disabilities. 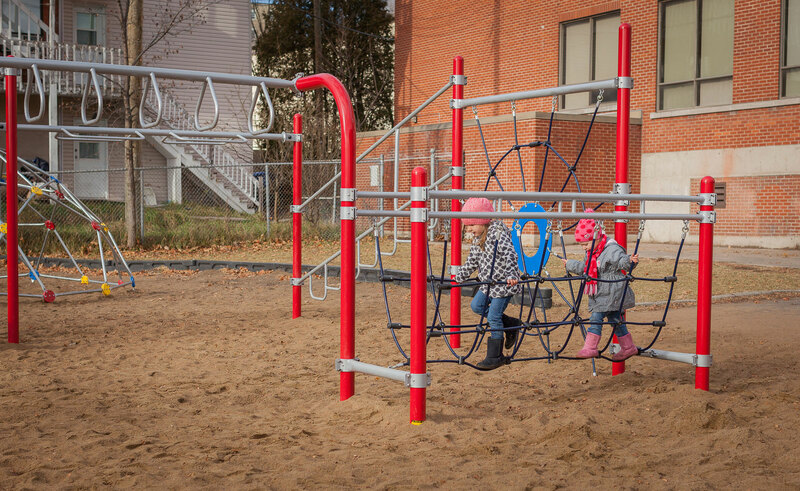 Go-Hop playtructures can round out a playground or simply be the playground on their own. Thanks for browsing our products! Here is the project preparation guide!